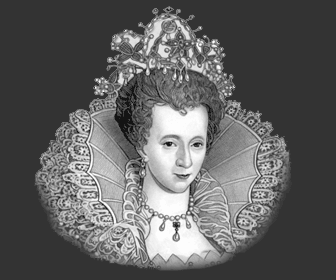 The Elizabethan era was the age of the Renaissance and new thinking and ideas. It was also the age of Nostradamus, Marsilio Ficino and Trithemius and the Renaissance fusion of Christianity, Hermetic Philosophy and its associated 'sciences' of magic, astrology and alchemy. Dr John Deewas the greatest astrologer of the Elizabethan era, who worked with his associate Edward Kelley. The following definitions have been provided to understand the differences between all of these Elizabethan 'sciences'. The Renaissance era, or the re-birth, saw the emergence of new ideas and a deep curiously in anything mystical. Could men predict future events? Could the most provident day for a special event be predicted from deciphering a horoscope? (The well educated and learned Queen Elizabeth obviously believed in horoscopes when January 15 1559 was chosen as the day of her coronation, from her horoscope cast by John Dee). Could a base metal be converted, or transmuted into gold or silver as the Alchemists believed? Could an Elixir of Life be produced which cured all diseases? Could the use of magic forecast or control natural events? The rewards for any Astrologer who controlled any of these element would become, rich, famous and all powerful. Could the use of a Chrystal ball and the art of 'scrying' be used as a technique for seeing supernatural images, for gaining secret knowledge or making predictions? John Dee and his associate Edward Kelley believed that this was so. Edward Kelley acted as a Medium for John Dee providing a means of communicating with 'Angels'. This 'Angel Magic' provided John Dee with Angelic or "Enochian" script. The brilliant Elizabethan scholar and Astrologer Dr. John Dee dedicated the later part of his life pursuing this secret knowledge. 1463 - 1494 Giovanni Pico della Mirandola. His book the '900 Theses' was described as "the great charter of Renaissance Magic"
"The sciences which have had better intelligence and confederacy with the imagination of man than with his reason are three in number; astrology, natural magic and alchemy: of which sciences, nevertheless, the ends and pretences are noble... The theory and the practice are full of error and vanity, which the professors themselves have sought to veil over and conceal by enigmatic writings." Details, facts and information about the Elizabethan Period can be accessed via the Elizabethan Era Sitemap.